Moving Mercifully Forward | Dealing with the realness of loss, while slowly moving forward. Moving Mercifully Forward – Dealing with the realness of loss, while slowly moving forward. This has been a tough week. I have been short with my husband, I have not used a nice tone on the work radio, there have been many frustrating moments on the bus. I thought it was Shawn related, until I looked at my calendar and pieced together why my emotions had been so bonkers. Turns out, I have been missing my sister Kathy. Today would’ve been her 59th b.day. I am so grateful that I had gone to meet Kath, in person. We had never been together, as she was given up for adoption, when she was very young. When I was in my early 20’s Kathy called me explaining who she was. Throughout the years we had many conversations. After Shawn died, Kath checked in on me, every couple of days. When she received a bad report regarding her ovarian cancer, I checked in on her every other day. It was so neat, we would finish each other’s sentences. We were in sync. The day I walked into her bedroom, in Pennsylvania, we both felt like the other was a kindred spirit. Kathy was first to notice that she was the non-emotional, private type of person. I would also add, she got the brains. 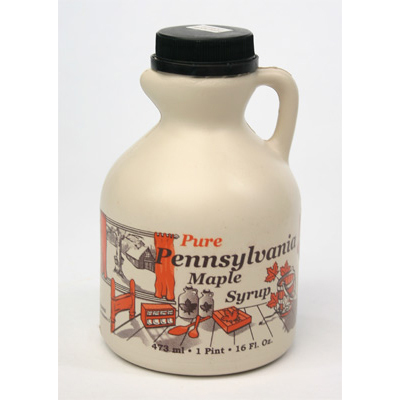 It was the best maple syrup I had ever tasted. On May 20, 2017, President Trump was at a reception ceremony, in Saudi Arabia. All the guests were seated. A calm was over the setting as several men entered the room. They were dressed in white, each had a gun at their side and they were carrying fancy coffee pots. There were many guests, it took many to serve. The men moved around the room so effortlessly. The camera was at a good angle to capture the impressive capabilities of one of the men pouring coffee. As the man was pouring the coffee, he moved the tiny cup up and down. Not a drop spilled !!! I was so amazed. I have replayed that section, several times. I thought it was such a beautiful scene to watch. For the life of me I cannot figure out why no one commented on it, at least not that I have heard. I wonder why it happened that I had glanced up and seen this part ? The soldier was graceful, steady and accurate. I was so impressed !!! It made me hope that my school bus driving skills, or anything else I do, could appear so effortless. My counselor is doing research on a distant relative named Helga. She was an artist, from Iceland in 1858. My counselor is interpreting her many poems, into English so he can put them into a book. Throughout our meetings, he has read several of those poems. For some reason, Helga feels like a kindred spirit, if that is possible~with so many years between us. Helga had suffered many losses and hardships. Her words are spot on. My counselor told me the reason I feel a connection is because Helga and I have a lot in common, even our personalities. At our new church, the elders like folks to figure out what kind of service, each can do, to help the church body. I struggle with this stuff. I never think I am good enough to have any service action that would help others. Near the end of June, during, a church meeting about our church moving to a new church location, I was at the back of the sanctuary, standing and holding tight to the chair in front of me~the kidney stone pain was pretty bad that day, all of a sudden this loud thought came into my head. I wanted to find out if I could be the dish washer. The woman in charge of the kitchen tasks had just stepped into the doorway behind me. I asked her if she needed someone to help with washing dishes ? She kind of chuckled when I told her I love washing dishes by hand and said she could use the help. Turns out there is another person who loves washing dishes, she is from Ghana. How cool is that !?! In a post on August 12, 2017, I commented on getting to wash dishes for my family, while we were at Seaside. I had told my counselor that I must be strange to like washing dishes. Wait, I do not like washing dishes, I love washing dishes. When I was washing dishes and doing the towel laundry, for my family, at Seaside, it was such a joy, even the smallest detail. The last thing my counselor thought was important for me to know, before our meeting was finished, was that I needed to realize that I do not have a spontaneous nature. I love pattern. How he knew that I do not know. It was explained to me that when something happens, it takes me several hours to adjust or regroup. Yep, that is correct. Plus, I usually need time alone for the processing to work itself out. I was told that it is okay to be frustrated with delay/change, it just takes me a while to accept and readjust. I explained how embarrassing it is, cuz I feel like folks don’t understand. I was told, again, I just need to keep doing the things I love. Details will work out eventually. So, in my worry about what my service is, it happens to be the things I love to do !!! Who knew !?! School bus driving starts in 3 days. This past week I gave myself just 3 tasks, as a finish of summer break. I really liked my new Prayer/Care book I had put together, but adding photos was too hard. Plus, I still have more photos I need to add. So, my 1st task for last week, was to make a new Prayer/Care book, one that would hold card~stock, envelops and double sided tape. Last week I had made 13 cards to send out. I was amazed at how quickly my supply shrank !!! My new Prayer/Care book is full !!! My 2nd task was to reorganize an upper cubby area in the garage. I had various boxes of paperwork to sort through and toss. It had been 6 years since I last organized that area. I was so bummed !!! Mice had somehow filled my roller skates with dog food~~~tiny Chihuahua nuggets. The mice had eaten several of my favorite patterns. Worst of all, the mice had tinkled on and in many of the boxes. My task grew. All cardboard boxes had to go !!! I checked on~line and read that ants and mice do not like peppermint or eucalyptus essential oils~ I hope !!! As I was sorting, I came upon a box, untouched by the mice. Why ??? As it turned out, it was the box that contained papers from my custody situation. I did not want to go down that memory trail. Those legal documents only reopened wounds from the 1990’s, they needed to be tossed !!! First, I decided to check for anything of importance. My heart was struck when I came upon a note. I did not re~look at it, so I do not know when it had been written. The note was from each of my children. Their words were: “Mom, please still love us.” For several years, Melissa and Shawn were gone from my life. I never stopped loving them !!! ‘nough said. God saw fit to allow it. It is just another time added to the long list of things, from my life, that I cannot see how God can use. We never know what kind of situation may slam us down. Sometimes, it may take a while to find one’s footing. For me, it has taken quite some-time to not be afraid of being hurt, again. I have difficulties trusting God. I have told God, during each trial, some happening when I was very young, that He was giving me too much to handle. And yet, the next trial has been more difficult and each trial has been ever so lonely. Find moments to cherish or at-least try to make moments to cherish. Devastation may happen for most, at-least once. There maybe others who go through many devastating trials, in their lives. Find ways to reach out, show you care~hard as that may be, at times. At least, try. & sometimes that is all one can muster. For quite some time, I have been trying to organize Shawn’s photos and videos. I came upon a video that I had taken just after Shawn died. He was being rolled away from me. I had asked if I could record the leaving. I promised I would not get the medical person’s face. He was very understanding. Shawn’s bed had a navy blue vinyl cover over it. The path was quite familiar. Each time Shawn had been taken to surgery, oh so many surgeries, this was the same path. I had recorded some of those times, as well. I remembered all those moments when Shawn’s bed had gone through those same double doors towards the elevator. I would always stand there for a few moments, just in-case…he would be, suddenly, brought back all better. While recording Shawn’s exit, I did not recall anything out of the ordinary. The other day when I happened upon this video, as Shawn was being rolled through those same double doors, there was this bright light. It enveloped that whole end of the hall, as Shawn’s bed went into it. I had never seen that bright light, before. My mom’s heart, paused. As I have struggled, openly, with Shawn’s death, I have asked God how He can use~even me ? At the same time, I have been afraid of my next trial. As I move forward, will I be able to handle the next phase of my life ? A couple of weeks ago, I was vividly remembering the many times Shawn needed blood~many units. He, also, needed plasma and platelets. I remembered how bummed I was when I learned that he was O negative, I am O positive. I remembered how thankful Melissa and I had been for all those kind folks who had donated blood, plasma and platelets. My 3rd task, last week, was to see if Red Cross had donation openings. I chose the 29th, because Shawn died when he was 29. My pulse and BP were just fine. My temperature was spot on. I am too short to do the double red cell donation. I learned that there are different diets for each blood type. My Hemoglobin needed to be better than 12.5. I was at 13.7. I asked about donating plasma and platelets. They require more time. So, I will put that on my to do list. At-least I was able to finally take this step !!! I sure hope I can keep giving. It is the only way I can think of to pay-back towards those wonderful donors who gave selflessly and kept Shawn alive a little longer. Oh my gracious !!! I had 3 posts ready, but last week I posted #2 instead of #1. Oh well !!! During my kidney stone situation, I felt awful for being mopey, for having no energy, but mostly, for letting my self-imposed guilt bother me the whole time. I did not want to complain or even silently moan about my aches when I witnessed what Shawn had to endure ??? My 3 millimeter stone was nothing compared to Shawn’s deep tissue burns. Why did this little jewel knock me down, so much so that I could not finish the school year ??? I could sit in my recliner or curl up in my bed, everything else caused more pain. I was so frustrated that I could not win over the pain. Years ago, when I was dealing with Fibromyalgia and Chronic Fatigue, I had been told to make sure there was no television is my bedroom, no phone~~~nothing that would make my mind think instead of sleep. In-fact, I was told that the only place I should allow myself to rest, was my bed. No napping in my chair. How glad I was during my kidney situation for my comfortable recliner. I did not feel like working on Christmas ornaments, so I watched shows on you-tube about: castle building, the monk lifestyle, various mysteries. On one show a comment was made that struck me. Truth be told, I have no idea what type of show it was. The words that struck a raw nerve: “…that appalling desperation of wanting to keep the dying/dead person with you” Those words were exactly the issue that had been piercing my heart. It is a strange feeling as time moves forward and relationships change, that wanting of the dead person to not be forgotten, another type of letting go, facing the loss, again, all the while watching as others move forward, past me. What is my problem ??? A question that was asked to me, “Was Shawn in misery ?” This person commented that Shawn must have been exhausted. She told me to think of Shawn in heaven. He gets to sing in God’s choir, he is not hurting anymore. Be happy for him. Moment after moment, during my kidney stone situation, my mind flashed back with self imposed guilt, about Shawn’s last days and the decisions I was involved in. Will I ever get to the point where I do not hate myself for my part in Shawn’s last days ??? My counselor has had to re-explained my strong sense of responsibility, that is why I have such a hard time working through issues. On the day of my kidney stone removal surgery: I was given a knotted glove that had been filled with hot water. This brought back memories about what I had done with the gloves during Shawn’s hospital days. You see, Shawn’s body would get very hot. It was difficult using the ice packs from the hospital, on Shawn’s head. Somehow, I figured out that ice fit neatly into hospital gloves. I could place a glove carefully on Shawn’s head, and it would stay, giving him some cool relief. When Shawn went in for surgeries, I would write notes, to the medical team, on the gloves and ice packs. I am thankful for the cute photos I had taken, at those difficult moments. So when I was given a warm glove to get my veins ready for the IV, it made for a strange Shawn connection. Before my surgery, I had given Bob “the” note of what to do if things did not go well. I believe I told Mom and Melissa what to do. I wanted all 3 on the same page. I also informed my doctor that I wanted some piece of the kidney stone, if not the whole thing, or at-least a photo of it. I made sure the anesthesiologist knew I did not want to wake up during surgery. I still remember, vividly, the details of waking up during my broncoscopy. It was time to be rolled to surgery. For some reason as I was being rolled down the hall, I was remembering when Shawn’s body was being rolled down the long corridor, away from me forever~~~I started crying. I told the anesthesiologist I was getting too sad, missing my son. I asked if he would just let me go to sleep. I just wanted relief from my grief agony. I remember my doctor waking me up and telling me there was no stone. I fr*eaked !!! I was worried no one would believe me, and what would I tell work ? My doctor reminded me that the ultra sound showed the stone. He did give me a photo, it showed the damaged tissue of where the stone had been stuck. A stent was put in place, as a precaution. I believe the stent must have been on the damaged tissue, the pain those 7 days was, aaawful !!! You may find yourself wondering what in the world is this a photo of ? My cup and strainer, I used for 33 days, during my kidney stone situation. The flowers were added for prettiness. The green thing is the stent that was put in place, for a week, even though the stone was gone. When the doctor was removing the stent, I asked if I could have it. He said, ” sure.” The nurse had to pick herself up off the floor. She was rather perturbed at my request. Her breathing noises made that ever so clear. As a matter of fact, I have learned that not many folks know what this type stent looks like. AND a funny thing: I was the first to ask for the stent, according to the disgruntled nurse. Go figure. For quite some time, I have been stymied as to how much water to drink; with so many opinions ? My doctor was explaining to me that since there was no stone to test, being over 50 and this was my first kidney stone, he was not worried about the why or how it happened. He just wanted me to make sure to drink plenty of water. I asked how much water is enough ? He said that any time my urine is darken than the color of straw, I need more water, plain and simple. I know I have been pretty blunt in this post, but maybe someone learned something new ??? First, please forgive me for the forum I used. I just didn’t know what would be the best way to pass along my blessing. Please believe me when I say this is not meant to cause any extra stress. I wanted both of you to know that I have been praying for this special day for many, many, many months. What an amazing privilege God has placed into your care. I pray your love for Jessica will grow with each passing day. I hope that in the unsure moments, low energy days and times of life frustrations, that you will take a deep breath, find the calm and soldier on. I pray for you to desire to stay committed and face each challenge boldly. My hope for you is that you will experience many new joys as you build this new family. I pray for your love, wisdom and patience to grow as you seek to meet the needs of these special children God has seen fit to give you. I will continue to be a committed prayer warrior for your new and dear family. It is important for me to express to you my unending love and care for you. I am thankful God has given you a new opportunity to be loved and cherished. I do pray for you to have peace, comfort and other blessings as you and Chandler journey together. I pray for energy, strength and unwavering commitment as your new family is joined together. I pray for wisdom to be your guide. I hope you will have many moments of lasting joy. I pray you and Chandler will endearingly, patiently and selflessly work through the challenges that will come your way. I want you to know, I committed to pray for your dear family. Today is a very special day for the 3 of you. Each of you is very special to me. In time I will be better at communicating that to you. I pray for each of you to show love and care and respect for all in your new family. Seek out ways to be helpful. Be happy for this new opportunity of having committed parents. Trust the parents God is giving you. Help them to know you are glad to have them as your parents. And, know this, I will continue to pray for each of you, often. I love you and I will continue to pray for you.